This is an opinion column by Del. 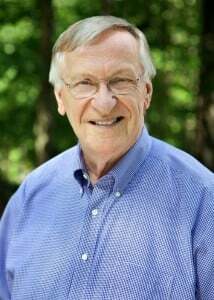 Ken Plum (D), who represents Reston in Virginia’s House of Delegates. 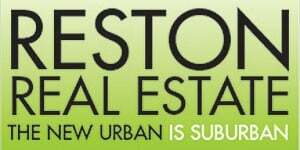 It does not reflect the opinion of Reston Now. While I would never recommend reading the Code of Virginia for pleasure, as it is filled with legalese intended for trained lawyers and judges to debate its intended meaning, it can be a useful document to understand the history of an era. Because court decisions at the state and federal level can change the application of a law, the words that are in the Code may have been superseded by such a decision or by later enactments of law. If all that is not enough to confuse us non-lawyers, there are the “notwithstanding” clauses that effectively say that whatever else the law may provide the effective meaning follows the clause. Laws can be read to help understand the community mores and values of the past. This session saw a meaningful number of bills passed that reflect a cleaning-up of the Code to reflect changing community values. Some of these include repealing remnants of Jim Crow laws of racial oppression of the past. Thanks to Del. Marcia Price and State Sen. Lionell Spruill, the provisions in Code that exempted Virginia’s minimum wage requirements for newsboys, shoe-shine boys, babysitters who work 10 hours or more per week, ushers, doormen, concession attendants and cashiers in theaters, all of which were occupations that were most likely held by African Americans, were repealed. The old law made it legal to discriminate through wages. A new law will require employers to provide pay stubs as a way to assist low-wage workers to manage their money and be treated fairly. Up until action of the General Assembly this session, if you owed court fines and fees in Virginia, your driver’s license could be suspended unless you established a payment plan. As the Virginia Interfaith Center for Public Policy that advocated strongly for a change in the law explained it, one in six Virginia drivers (approximately 900,000 people) has had his or her license suspended because of owing court fines and fees. Almost any poor person who has interacted with the criminal justice system owes some court fines and fees. Essentially, by taking away someone’s license and therefore likely preventing the person from finding or keeping a job, the state denies the person opportunity to escape from poverty (and ever pay back those fines and fees). This policy was a “debtors’ prison” approach. There is no evidence that suspending people’s licenses increases the rate of payback for fines and fees. The issue disproportionately affected low-income workers, and its repeal this year was past due. Virginia has historically had one of the highest rates of rental evictions in the country. Laws that disproportionally favored landlords over tenants caused this situation that was disruptive to families. A series of revisions to create a better balance in the law and that provides more options for tenants should make the laws operate more fairly. Virginia has also had a very bad record in the management of its foster care program. Children were shifted from family to family with limited stability in their lives. Major changes in the laws related to foster children should greatly improve the situation. It is critically important that we clean up the Code from time to time. The House of Delegates and the State Senate were in session yesterday (April 3) for the annual reconvened session as required by the constitution. Often referred to as the veto session, part of its business is to consider bills vetoed or with amendments proposed by the governor. During the regular odd-numbered short session that adjourned on Feb. 24 after 46 days, there were 3,128 bills and resolutions considered. Setting aside resolutions that do not have the force of law of bills, there were 883 bills that passed the legislature all of which must have the signature of the governor in order to become law. The governor’s veto can be overturned by a vote of two-thirds of the members of both houses. The governor in Virginia has the unique ability among executive officials to propose amendments to bills that previously passed but then must be approved by the General Assembly in the reconvened session with the amendments proposed. This ability for the governor to make corrections or to change the provisions of a bill gives the governor important legislative powers and enhances the importance of the reconvened session that typically lasts for a single day but can go up to three days. Among the bills on the docket for this reconvened session is a bill that had passed both houses of the legislature but died at the last moment of the regular session. The dispute was over legal language to prohibit the use of cell phones that are not hands-free. The bill will be back before the legislature thanks to an amendment by the governor, and it is likely to finally pass. I expect to support the governor in his vetoes of bills. One bill that he vetoed would limit his authority to involve Virginia in the Regional Greenhouse Gas Initiative, a cap-and-trade program among Northeastern and Mid-Atlantic states that mandates emission reduction in the power sector. Virginia’s involvement in this program is among the most important steps the state can take in reducing greenhouse gases and tackling climate change. Governor Ralph Northam has also vetoed a bill that I had opposed during the regular session that would force law enforcement agencies to use precious resources to perform functions of federal immigration law that are part of the current immigration hysteria. He also vetoed a bill that would have limited the ability of local governments in making decisions about their local employment and pay consideration. Included among the bills that passed are bills that passed in identical form but were only introduced in one house. Some advocates and legislators believe that there is more certainty that a bill will finally pass if it moves through the legislature on two separate tracks. The governor signs both identical bills to keep from choosing among competing bill sponsors. No one that I know has taken the time to count these bills, but I believe that more than half fall into this category. I question that approach — it seems like unnecessary duplication in an already complex system. Increases in budget revenues as a result of federal tax changes and the ability to tax sales on goods purchased on the internet put Virginia in a unique position to increase its budgeted funds mid-year of a biennial budget while at the same time providing many taxpayers with refunds. As the fall elections approach, the actions on the state budget will receive many different “spins.” Certainly, taxpayers like getting money refunded. At the same time they recognize when programs to meet needs are underfunded, they may over a period of time become even more underfunded. It is more than mathematics and accounting to approve a budget when revenues have increased — it is also very much an expression of values on the part of decision makers. An example of values affecting budgetary decisions came during the Great Recession of 2008. State revenues dipped at the greatest rate in modern times just as many businesses faltered and failed. A great bail-out went to businesses from the federal government as did major funding to state government. The feds did not match the private losses, but they did provide relief for some greater cuts for programs like education. Only now has the Virginia economy recovered such that the funding of education today is exceeding that of pre-2008 levels. Beyond simply funding programs and services with more money next year than last year are the equity issues involved in distributing money across programs. My trip to Prince Edward County as I described in my column last week reminded me just how inequitable funding can be. There was no pretense of equity among black and white schools. The whites went to a brick school that was modern for its time; the black children went to school in a tar-paper shanty. With many federal court decisions we have gotten beyond the inequities of segregated services and programs, but inequities still exist. The budget presented to the General Assembly by Gov. Ralph Northam represented the greatest attempt at resolving equity issues that I have seen. Funding for schools was increased but with those who had the greatest needs receiving the most money. Programs for students with special needs were enhanced as was funding for historically black institutions of higher education. The governor found himself with a major problem pushing his agenda as he got himself in political hot water for his behavior many years ago. Whatever way that situation is resolved, it need not take attention from the basic problem of increasing equity among school divisions, mental health programs and criminal justice programs. There is ample evidence gleaned from numerous studies that document inequities that exist in the state’s budget. These facts will be manipulated among candidates this election season to gain the advantage, but candidates need to acknowledge that inequities exist and must be dealt with fairly. I understand that most regions feel that they do not get a fair shake. There are metrics that can be used to find the inequities; once resolved the state will be stronger because of it. March is Women’s History Month. Before women had the whole month, the U.S. recognized Women’s History Week; before that, a single International Women’s Day. Dedicating the whole month of March in honor of women’s achievements was seen “as a way to revise a written and social American history that had largely ignored women’s contributions,” according to an article in Time magazine. The first Women’s Day took place on Feb. 28, 1909 to honor the one-year anniversary of the garment worker’s strikes in New York when thousands of women marched for economic rights and to honor an earlier 1857 march when garment workers rallied for equal rights and a 10-hour day, according to the article. Recognizing the achievement of Virginia women goes beyond naming a month. A monument is under construction on Capitol Square, “Voices from the Garden,” which will be the first monument of its kind in the nation. Representative of the state’s regions, the monument recognizes the 400-year history and the diversity of achievement, ethnicity and thought that women have made to the Commonwealth. Even more significant in recognizing women in Virginia is the fact that there is historic representation of women in the Virginia House of Delegates, including the election of 11 new women members in 2017, all of whom ousted male incumbents. The House Democratic Caucus is almost 45 percent women, including 11 women of color. The House Republican Caucus is less than 10 percent women. Caucus Chair Charniele Herring is the first woman to chair a caucus in the House of Delegates throughout its 400-year history. Leader Eileen Filler-Corn is the first woman to be elected leader of a caucus in the General Assembly. Recently I served on a panel, “Can Women Save Democracy? We’re counting on it!” at the Schar School of Policy and Government at George Mason University along with Herring, iller-Corn and Congresswoman Jennifer Wexton. There was a clear consensus in the room that women will play a pivotal role in getting our country back on the right track. Witness this year’s state and local elections when there are record-breaking numbers of women lining up to run in primaries and the general elections. Not only are women running and winning races, but they are determining the outcome of elections with their tireless work in making calls, knocking on doors, and working on behalf of the candidates they support. Organizations like Indivisibles, with Herndon-Reston Indivisibles being a model organization, and Moms Demand Action among others are making their influence felt on policy issues like ending the epidemic of gun violence. The big disappointment in celebrating women in history is the refusal of the Virginia House of Delegates to ratify the Equal Rights Amendment. Ratification failed on a tied vote on a procedural matter that makes it even more frustrating that the amendment was not allowed to be debated on the floor of the House of Delegates. There is more women’s history to be written in Virginia, and I suspect the next step will be the election of even more women this fall and ratification of the ERA next year! The Virginia General Assembly was adjourning for the year as the film “Green Book” was receiving “Best Picture” recognition at the 91st Oscars. While the story line of the movie may have been fictional, the Green Book was reality in the Jim Crow South. Segregated facilities of hotels, restaurants, public bathrooms and transportation in Virginia and throughout the South necessitated Black travelers having a guide like the Green Book, a small book with a green cover, to let them know where they could stop to use the bathroom, eat a meal or spend the night. It was not unlike a AAA travel guide except that its listings were just for Black travelers. The movie — without exaggeration — lets recent generations know just how segregated the South was. As part of the Black History Month celebration in the House of Delegates, a different delegate speaks each day about a famous Black person, an interesting Black person from the past who may not have made the history books or the experience of growing up Black. One day this session. Del. Jeion Ward of Hampton spoke of her experiences growing up Black in segregated Virginia and her family’s use of the Green Book in their vacation travels. There were special challenges to be met when public bathrooms or restaurants were further than needed. Other symbols of the challenges of growing up Black in a racist society like Virginia and the South were shockingly brought to our attention this legislative session. The cruel part that blackface played in white entertainment may have been unknown to many younger persons or forgotten by others but must be acknowledged and dealt with in repentance by those who took part including the governor and the attorney general. To include white robes and hoods in entertainment is to overlook that these are symbols of hate, violence, cross burning, lynchings and white supremacy. Public officials must disavow these symbols unequivocally and provide leadership in healing the communities that have been wounded by signs of white supremacy. Outside the capitol near the governor’s mansion is the Virginia Civil Rights Memorial. It features the walk out of Prince Edward schools led by 16-year old Barbara Johns, a factor in the Supreme Court decision in Brown v. Board of Education that led to the desegregation of public schools. Public schools were not simply segregated, but they were totally unequal. This legislative session we were reminded by the work of the Commonwealth Institute for Fiscal Analysis of the differences that continue to exist among white and minority facilities, programs and services. The approved budget made some improvements in reducing the inequities among facilities and services that have disadvantaged Black people. There is a new awareness of the work that needs to be done to overcome our racist past. Del. Jay Jones of Norfolk spoke out forcefully on the floor of the House of Delegates reminding us of our history and the need to take action in the future. The speech of this young Black delegate is worth a listen for it is a powerful statement of the need to overcome our racist past. Virginia’s state law-making body, the General Assembly, adjourned sine die — until another day — this past Sunday — one day later than its scheduled adjournment date. With more than 3,000 bills and resolutions considered, it is somewhat miraculous that the body came that close to its scheduled 45-day end date. There were positive accomplishments. Legislation designed to curtail record levels of rental evictions was passed. Major reforms to the foster care program were enacted with Del. Karrie Delaney providing leadership in this area. The legal age for buying cigarettes and vaping products was raised from 18 to 21 — a remarkable achievement in a city that was once the cigarette making capital of the world. A bill I introduced at the suggestion of the Chris Atwood Foundation passed and will increase the persons authorized to administer the miracle drug Naloxone that can save the lives of persons suffering from drug overdoses. The concern about coal-ash ponds has been resolved with a requirement that clean-up occur on the property of utility without transport and in ponds that are sealed at the highest level of environmental protection. Revisions that were made to the biennial budget that we are now half-way through bring lots of good news. Monies were increased for public education, including districts that have the highest levels of poverty and most need. School counselors were increased in numbers, although not at the level sought by the governor. Most taxpayers will get some money back as a result of the impact of federal tax cuts on state revenue. A resolution that could lead to a constitutional amendment if passed next year would result in a redistricting commission. While the commission is not as strong as I and the independent redistricting advocates had hoped, it will increase public input into the process of drawing legislative boundaries. A week of no-excuse absentee voting before elections that was passed is much less than in other states, but it will start the process of opening up elections in the future. Up until the final hours of the session, it appeared that the current limitations on holding a phone while driving would be strengthened, but the bill died for failure to agree to language that would be enforceable. The ratification of the Equal Rights Amendment that I thought was going to occur was defeated by a mostly partisan vote. When the legislation was passed by the Senate and defeated in a House committee, there was an effort to change the rules to allow a vote by the entire House. The rules change was defeated by a 50-50 tied vote with one Republican who had narrowly won re-election in 2017 voting with the Democrats. All gun safety measures were defeated, including my bill to require universal background checks. My bills to raise the minimum wage and to establish an earned income tax credit system were also defeated. I am available to speak to groups and organizations about the session; just email me at [email protected] Future columns will discuss the session further. As you read this column the Virginia General Assembly will be nearing its adjournment sine die for the 400th year of its existence, having first met in the church on Jamestowne Island in 1619. That first session of what became known a century and a half later as the General Assembly was composed of a representative of the 22 plantations that had sprung up along the major rivers of the state as there were no local government, political boundaries or transportation networks in existence. The representatives were all white males who were landowners. African Americans had to wait for the outcome of the Civil War and women had to wait for the twentieth century before they became part of the electorate. While the right to vote has begrudgingly expanded, over time there continues to be a resistance to making it easier to vote. In the current session, there were proposals to allow people to vote early or vote absentee without an excuse and to make election day a holiday for the convenience of voters, but it does not appear that any will become law. Establishing a fair way to draw legislative boundaries has been hotly debated, but the decision to establish an independent redistricting commission will await the closing hours of the session. Slaves were brought to the colony of Virginia in 1619 to work the tobacco fields that were the mainstay of the colony’s economy. They had none of the rights that Englishmen claimed and beginning in the 1640s were subjected to “slave codes” that defined them as property to be bought and sold with no access to learning to read and write or to move about freely. After the Civil War, these restrictive laws became the Jim Crow laws that continued to limit the rights of black people who were kept in line by the Ku Klux Klan and by public lynchings. White supremacy reigned with black-face entertainment intended to degrade black people through crude humor. Happenings during this legislative session showed how little we have progressed on issues of human rights and respect, but there is hope. The reminder to the governor of his racist past will make him an even more enlightened person who if he continues can provide important leadership to dismantling racism in the state. The incredible people of color who were elected to the House of Delegates in the last election bring strong voices to the need for greater equity and justice in the Commonwealth. Some limited reforms that will help establish equity and remove racism in the criminal justice system are on their way to passage. Women first came to the Virginia colony in 1619. While rights of women have expanded slowly over the centuries, having Virginia ratify the Equal Rights Amendment is still in doubt. May the lessons of this historic legislative session move us forward in future years. To check on the fate of specific bills, go to lis.virginia.gov. Despite all the distraction associated with events in Richmond these days, the General Assembly is staying on task dealing with legislative and budgetary issues it faces. Each house of the legislature has started to work on legislation passed by the other with conflicts resolved in conference committees made up of members from both houses. The really big conference committee is working to resolve differences on the budget. The big differences on the budget are between the Democrats and Republicans and not the two houses — how to deal with additional revenues coming to the state from the federal tax changes. Stay tuned for the differences on the budget because they will not be resolved until the last few days of the session that is scheduled to adjourn on Feb. 23. Some good news is emerging from the session. Requiring hands-free phones in cars has been required in most other states many years ago and may finally be coming to Virginia. Research shows that the greatest cause of auto accidents is distracted driving with calls and texting being the chief reason. I remember the many sessions that it took to pass requirements for smoke-free areas. Richmond as the cigarette manufacturing capital was finally over-ridden by popular sentiments, and smoke-free areas were legislated. Amazingly but happily the age to buy cigarettes and the latest craze of buying electronic vaping devices is being raised from age 18 to 21. Efforts to legalize gambling establishments in areas of the state as diverse as Portsmouth, Bedford and Danville failed this year in favor of a year-long study to determine state policy. I predict we will see casinos established in the state in a few years as some regions see them as economic development and a source of new revenue offsetting anemic state funding. I voted to let a study go forward but would not support public financing of a stadium or gambling establishment. Bills that would have decriminalized marijuana did not make it out of committee in either house. My bill introduced at the suggestion of the Chris Atwood Foundation to make Naloxone more available to reduce deaths from drug overdoses passed. Different bills passed that purport to create a fairer way to draw legislative district boundaries, but neither comes close to the independent processes that the public has been seeking to end gerrymandering. On the environment, bills to require Dominion to clean up their coal-ash ponds passed both houses with endorsement by major environmental groups. A bill I voted for that would have established an ambitious agenda for cleaning up the environment in Virginia failed in the House. The Senate passed a bill to require public schools to teach a class on the Bible! I will not be voting for it if it makes its way through committee. All the gun safety bills were defeated in both houses. A bill to make it easier to get a concealed weapon if you are from another state passed with a likely veto by the governor. Yes, there are other big challenges in the capital these days. I will be addressing them in future columns as the facts involved become better known. The 2019 session of the General Assembly has reached its mid-point, or crossover, when the two houses start to consider bills that have survived the other house. It also represents the final action on many bills giving an indication of what the ultimate legislation for the session is likely to be. In the back of most legislators’ minds is the fact that when the legislature adjourns sine die (until another day) the election season will begin. The thought of going home to meet their voters motivates many votes. After all, that is the way it should be in a representative democracy. The results, however, create some absurdities. Republicans appear to be planning to focus once again on abortion. Although Roe v. Wade — decided in 1973 — was supposed to set the rules for abortions, the debate still goes on. This week in a massive media campaign linked to fundraising, the opponents accused Gov. Ralph Northam, who is a pediatrician, and first-term Del. Kathy Tran, a mother of four (the youngest of whom she was nursing during the session last year), of favoring infanticide! Thirty-seven states have ratified the Equal Rights Amendment. It is looking doubtful that Virginia will join that group this year. In floor speeches on the amendment, one of the women opposing the amendment said that she did not need “words on a piece of paper” to get what she wanted. Bills that would have created an independent redistricting commission including my perennial bill have been defeated in the House. A bill introduced by the Speaker of the House that would create a commission to redistrict the legislature is far from independent in that it still has legislators picking their voters in order to protect incumbents and hold onto the majority. If the bill makes it through the legislature, it will be amended or vetoed by the governor. It remains difficult for the majority to play fair especially when it holds control by such a slim sliver of power. A two-vote shift in both houses would put Democrats in charge of the legislature. Major divisions continue to exist between the parties on finalizing the budget. Republicans favor a plan that continues the federal approach of giving tax breaks to those with the highest income. My bill to establish a partially refundable Earned Income Tax Credit (EITC) was defeated. About half the states have used an EITC to help raise the income of working families. There is a slight possibility that Gov. Northam could get the EITC in a compromise budget as he is a strong proponent of it. Several weeks remain for the legislature to work its will. Some good bills are passing that will be favorable to the people of the Commonwealth, and I will discuss these in future columns. With an election looming in the fall, we may still see more absurdities! Reston-area lawmakers are calling for Gov. Ralph Northam’s resignation after a racist yearbook photo recently surfaced. The photo in his 1984 medical school yearbook shows two people standing next to each other — one in blackface and the other person in a KKK costume. Northam apologized on Friday (Feb. 1) for appearing in the “clearly racist and offensive” photo and the hurt it caused 35 years later, indicating that he plans to stay in office. Then on Saturday, Northam said that he doesn’t think he is in the photo and suggested that it may have been placed on his yearbook page by mistake. He admitted to a separate incident where he darkened his skin for a costume, according to news reports. Still, many politicians from both sides of the aisle say a resignation can help heal the pain caused by the photo and bring in a new leader who Virginians can trust — a sentiment backed by Reston and Herndon lawmakers (who are all Democrats). The Ralph Northam I know is not a racist. The Ralph Northam I know is a decent and kind man. For the ten years I have known him, he has courageously tried to promote racial harmony in our Southern state. However, if he is in the disgraceful, abhorrent photo, he must resign. This is a very sad time for our Commonwealth. This horrible episode has ripped the scab off the festering wound of discrimination still in Virginia. We must all examine our consciences to see what more we can do to bring healing and reconciliation to all Virginians. Del. Ken Plum (D-36th District) said in a tweet that he agrees with the statements of the House Democratic Caucus, the Legislative Black Caucus and the Senate Democratic Caucus calling for Northam’s resignation. This is a sad day for all Virginians. With a heavy heart, I continue to stand with my @VASenateDems @VaBlackCaucus @VAHouseDems colleagues in asking @GovernorVA to step down. Connolly and Breyer said that the governor must step aside and “allow the process of healing to begin” under Lt. Governor Justin Fairfax. “Virginia has a painful past where racism was too often not called out for its evil. The only way to overcome that history is to speak and act with absolute moral clarity,” the statement said. Both of Virginia’s Democratic U.S. senators tweeted that they believe Northam should step down. 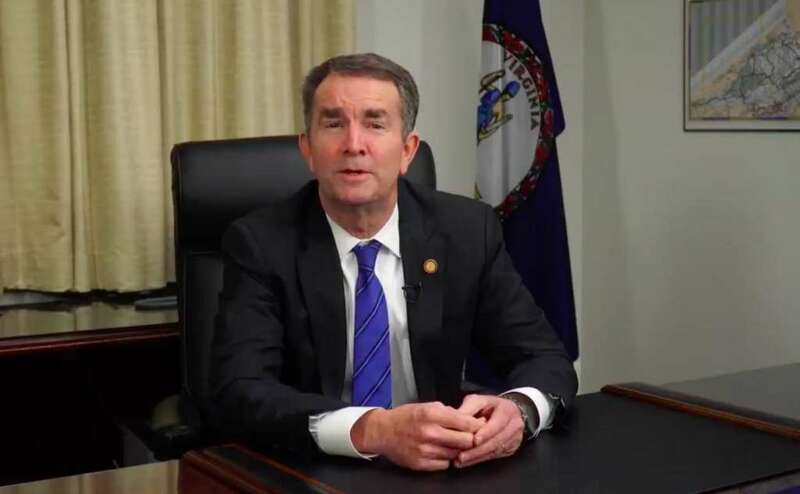 Despite the widespread condemnation, it remains unclear at this time whether Northam will resign or not. If he does, Fairfax would become the second African American governor in Virginia’s history. I no longer believe Governor Northam can effectively serve as Governor of Virginia. The events of the past 24 hours have inflicted immense pain and irrevocably broken the trust Virginians must have in their leaders. He should step down and allow the Commonwealth to begin healing. The arrival of W-2 forms in the mail reminds us, even if we may have momentarily tried to forget, that tax season is upon us. This is no ordinary tax year, however. Massive changes in federal tax laws will result in significant changes at the state level as well. No one can speak with authority as to what the differences will be for an individual taxpayer as the General Assembly has not revised state tax law to reflect the federal changes. The situation we are in is not new. Anytime the Congress makes changes in federal tax policy, the state must adjust to those changes and decide whether to adopt the federal policy or to put in new state provisions. As a conformity state, Virginia has generally followed federal policy allowing taxpayers to file state returns using the information on their federal form. The difference this year is that the federal changes are so massive that conformity is not realistic without major changes in the way state forms are filed. Adding to the fact that the forms may be different is that there are major differences between the way deductions and credits have been handled and what will constitute taxable income. High-income taxpayers that were the winners with the federal changes could significantly reduce monies to a state that is already struggling to meet its obligations to funding schools, mental health programs and other priorities. Essentially, Gov. Ralph Northam proposed that additional revenues be used for investments in education, workforce development, expanded broadband and targeted tax relief to those who work at the lowest wages. Republicans have proposed a plan to return more monies to taxpayers, but there is strong concern that the Republican plan will make big dents in the state budget. All agree that a decision needs to be reached soon for taxpayers to file their tax forms as soon as possible and as accurately as possible. In past years as many as 650,000 taxpayers have filed in the first 10 days of February. I am the patron of a bill supported by Northam that would make a portion of the Earned Income Tax Credit (EITC) refundable to taxpayers based on their income and family size. The current Virginia EITC set at 20 percent of the federal EITC does not allow for a refund of its full value as is done in 23 other states. Under the bill I introduced, it is estimated that as much as $250 million would be returned to the pockets of hard-working Virginians who are at the lowest pay levels. This helps not only those workers, but — since low-income residents typically spend that money on goods and services — it boosts the local economy as well. There is a sense of urgency in the General Assembly that this issue needs to be resolved as soon as possible, because it impacts every household. Not only is there a great deal of confusion, but that confusion will be multiplied many times as people start to prepare their returns with incomplete directions. The challenge has been known for several months. Tax season is upon us. Our tax policy needs to be resolved now. The General Assembly had not been in session for more than two weeks until the differences between the House of Delegates and the State Senate became obvious. The Founding Fathers who conceived the structure of government built-in safeguards and checks and balances to ensure that a runaway government would be less possible. Two houses in the legislature were part of that scheme. The lower house would be elected by a popular vote, but in the federal model the so-called “upper house” was first elected by state legislatures before the popular vote was instituted. Another major difference in Virginia is that in the House of Delegates, 100 members were given two-year terms and smaller districts. The 40-member Senate was given four-year terms and districts two-and-a-half the size of delegate districts. The result is that in some parts of the state there are election contests where the delegate and the senator reflect different values and positions on issues. That is not the case in my district where Sen. Janet Howell and I have taken the same position on every issue I can remember. These structural differences bring about different results as is being dramatically shown in the current General Assembly session. In alternate election cycles, as is the case this year, senators and delegates all run for office. In light of the last election for House seats, I approached this legislative session with the hope that there might be more flexibility in the House leadership that might result in the consideration of bills that had been summarily defeated in past sessions. My hopes have already been dashed. Even this early the session has demonstrated the differences that the two-house legislature presents. Certainly, there has been strong public support for Virginia being the 38th and final state needed to ratify the Equal Rights Amendment. The Senate passed a resolution for ratification, but was defeated in a subcommittee in the House. This major struggle between the two houses is the same for establishing an impartial and nonpartisan system for legislative redistricting. The Senate has passed a bill to establish such a process while House leadership is expressing opposition. Since the legislation is a constitutional amendment, it is important that a resolution is passed this year and next to go to a popular referendum in 2020 in time for redistricting after the 2020 census results are known. Sometimes differences between the two houses can be resolved in a conference committee if both houses pass bills on the same subject. If differences are not resolved, the bill dies. Legislation must be passed in identical form from both houses to be sent to the governor for signature. If the governor disagrees with the bill sent to him, he can send down amendments or veto the legislation. It takes a two-thirds vote of the legislature to override a veto. Legislating with a two-house body can be cumbersome and difficult. Sometimes it seems to be easier to say how bills are defeated rather than how they pass. In either case, voters can be assured that the two-house legislature ensures full consideration of issues. In a recent social media post, I indicated that the annual General Assembly session would be underway very soon. AutoCorrect changed the text to be “underwater very soon.” My son alerted me to the change, and I made what I thought was a correction. As the General Assembly session has gotten underway I am starting to wonder if AutoCorrect knew something that I am now coming to realize: the General Assembly may well be underwater! The session is scheduled to go until Feb. 22. Meeting five days a week means 38 actual days for work on more than 2,000 bills and resolutions. While I have highlighted big issues like redistricting reform, preventing gun violence and ERA ratification, there are many more issues large and small that make up the agenda for the session. Virginia has always conformed its income tax policies to the federal system. With the massive changes that have been made in federal tax law, the General Assembly will wrestle with what we will do in Virginia. There will be an effort to resolve the issue early in the session to accommodate taxpayers who want to file their returns early. Part of the tax policy debate will be making the Earned Income Tax Credit (EITC) refundable as promoted by the governor in a bill that I have introduced. The purpose would be to allow persons of low income to keep more of the money they earn and be more self-supporting. As a Dillon Rule State — meaning local governments have only the powers granted to them by the state — dozens of bills called “local bills” are introduced to extend powers some of which are very minor to a particular locality. Another group of bills is called “housekeeping” to make corrections or clarifications to legislation that passed in previous sessions. All these bills are important but add to the workload of a session. Challenging environmental issues will be coming before the legislature many of which relate to energy. There are proposals to increase the required uses of alternative and renewable fuels. Cleaning up from the past use of fossils fuels and the resulting growth in coal ash ponds will be taken up. There is a strong need to deal with the degradation of water quality in the Chesapeake Bay area. The Tidewater area is subject to recurrent flooding coming about with climate change that needs addressing now rather than later. There are many bills dealing with criminal justice reform including bills intended to reduce the school to prison pipeline. The governor has announced his support of decriminalizing possession of small quantities of marijuana. A bill that has been introduced would allow casino and sports gambling. There will be a number of dog and cat bills that include high levels of emotion from interested parties. Being able to limit dogs running across the properties of landowners is a big concern in rural areas. You can review all the bills on the agenda of the General Assembly. If you have not done so already, let me know your positions on issues by going to my website and click on Legislative Session Survey. Del. 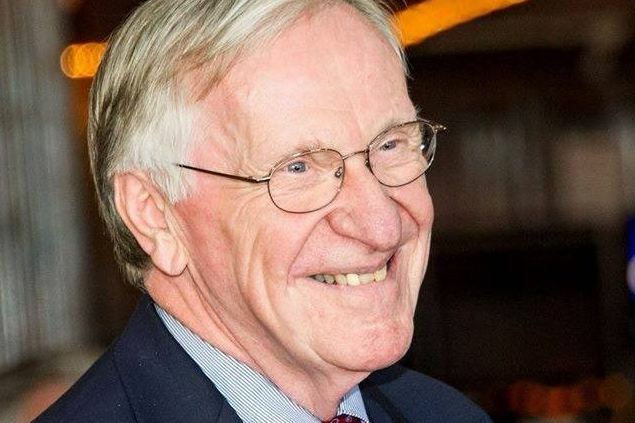 Ken Plum and 14 members of the Virginia General Assembly want toll relief for federal workers who are commuting on Virginia toll roads — including the Dulles Greenway — to go to their unpaid jobs as the longest government shutdown in U.S. history continues without an end in sight. On Friday (Jan. 11), the 15 members sent a letter to the Secretary of Transportation Shannon Valentine and Greg Woodsmall from the Toll Road Investors Partnership II, L.P., urging them to work with EZ-Pass to develop a system to freeze tolling Virginian workers who are forced to work without pay during the current government shutdown. “It is suggested that this letter [from the workers’ respective departments] is submitted in conjunction with their EZ-Pass transponder number and that this number be used to freeze the transponder’s ability to charge the petitioning Virginian during the entirety of their furlough,” the members wrote in the letter. They also urged Valentine and Woodsmall to design a way to reimburse tolls that were collected from Dec. 20 — the beginning of the federal government shutdown — until the shutdown ends. Virginia is the sixth most affected state by the shutdown with more than 34,000 workers who are affected by the furlough and a “significant number of them” who are expected to work without pay, according to the letter. “These hardworking Virginians are TSA agents, United States Marshalls, FBI agents and others who are working hard to protect our nation and state, allowing our nation’s operations to continue during the government shutdown,” the members wrote. The Virginia General Assembly will convene for its annual session at noon today. The opening session will no doubt note that a form of representative government first met at the church at Jamestown 400 years ago. I am honored to have served nearly 10 percent of the span of existence of the Assembly. I encourage constituents to participate in the events of the year for I believe they form an excellent starting point for an understanding of where Virginia is today and most importantly where Virginia is headed. In 1982 I introduced what I believe to be the first bill in Virginia to create a nonpartisan and independent legislative redistricting commission. The Democrats who overwhelmingly controlled the General Assembly at the time dismissed the idea for they were firmly in control. When the Republicans took the majority in the General Assembly years later, they also rejected my proposal because they were now in control. I am pleased with the growth of awareness on the part of the public that the current partisan-controlled system of dividing up the population into legislative districts serves the legislators’ interests instead of their constituents and the issues important to them. The General Assembly must act in this session to get a constitutional amendment on the ballot in time for a commission to be organized to do redistricting after the 2020 census. Thanks to all associated with OneVirginia 2021 for the advocacy they are doing to bring about this evolution of democracy in the Commonwealth. Plan to visit the General Assembly during this session that runs five days a week through Feb. 22. All committee meetings are open to the public. Legislator offices are just across Bank Street from the Capitol, and I am always pleased to see constituents. Let’s make sure that when the history of the 2019 session is written that a major step in representative government will have taken place.